Lignin is the only large-scale renewable aromatic compound resource. Aromatic aldehyde com-pounds can be prepared to form the lignin via the directional catalytic oxidation and depolymeri-zation, which were utilized as the important platform molecules and fine chemicals. Through this way, a good solution was provided for the replacement of non-renewable resources, such as coal for oil. Phosphotungstic acid is a kind of heteropolyacid with both oxidation and acidity. The catalytic oxidation of lignin in organic solvents carried by phosphotungstic acid has not been reported in detail. In this paper, the catalytic oxidation properties of phosphotungstic acid on lignin model were discussed by orthogonal experiment design, and the catalytic mechanism was discussed. The results show that the optimal conditions are: methanol:water (mL:mL) = 50:50, reaction temper-ature 100˚C, oxygen pressure 1.5 MPa, the reaction time 3 hours, the conversion rate 91.3%. The C-O and C-C bonds in the model molecules are both cleaved. The optimal conditions are applied to the catalytic oxidation reaction of real lignin, and the main products are phenolic and aromatic aldehydes, and the product distribution is concentrated. The results of this paper show that phosphotungstic acid has good catalytic activity and selectivity in the process of lignin conversion and refined process, and also has good studying and using values. Zhou, C., Xia, X., Lin, C., Tong, D. and Beltramini, J. (2011) Catalytic Conversion of Lignocellulosic Biomass to Fine Chemicals and Fuels. Chemical Society Reviews, 40, 5588-5617. Sun, Y. and Cheng, J. (2002) Hydrolysis of Lignocellulosic Materials for Ethanol Production: A Review. Bioresource Technology, 83, 1-11. Demesa, A.G., Laari, A., Sillanpaa, M., Koiranen, T. and Wool, R.P. (2017) Valorization of Lignin by Partial Wet Oxidation Using Sustainable Heteropoly Acid Catalysts. Mo-lecules, 22, 1625. Wool, R.P. and Sun, X.S. (2005) Bio-Based Polymers and Composites. Materials Today, 8, 63. 张勤生, 王来来. 木质素及其模型化合物的加氢脱氧反应研究进展[J]. 分子催化, 2013, 27(1): 89-97. 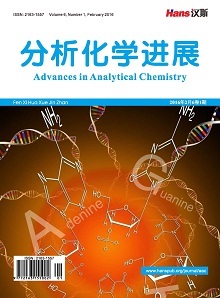 Cheng, C.B., Wang, J.Z., Shen, D.K., Xue, J.T., Guan, S.P., Gu, S., Luo, K.C., et al. (2017) Catalytic Oxidation of Lignin in Solvent Systems for Production of Renewable Chemicals: A Review. Po-lymers, 9, 240. Behling, R., Valange, S. and Chatel, G. (2016) Heterogeneous Catalytic Oxidation for Lignin Va-lorization into Valuable Chemicals: What Results? What Limitations? What Trends? Green Chemistry, 47, 1839-1854. Xu, C.P., Arancon, R.A.D., Labidi, J. and Luque, R. (2014) Lignin Depolymerisation Strategies: Towards Valuable Chemicals and Fuels. Chemical Society Reviews, 43, 7485. Kozhevnikov, I.V. (1998) Catalysis by Heteropoly Acids and Multi-component Polyoxometalates in Liquid-Phase Reactions. Chemical Reviews, 98, 171-198. Dos Santos, D.A.S., et al. (2012) Modified Kraft Lignin for Bioremedi-ation Applications. Journal of Environmental Science and Health, Part A, 47, 298-307. Sun, N., et al. (2011) Use of Polyoxometalate Catalysts in Ionic Liquids to Enhance the Dissolution and Delignification of Woody Biomass. ChemSusChem, 4, 65-73. Bujanovic, B., et al. (2011) Polyoxometalate Delignification of Birch Kraft Pulp and Effect on Residual Lignin. Journal of Wood Chemistry and Technology, 31, 121-141. Voitl, T., et al. 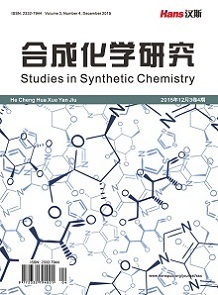 (2010) Analysis of Products from the Oxi-dation of Technical Lignins by Oxygen and H3PMo12O40 in Water and Aqueous Methanol by Size-Exclusion Chroma-tography. Holzforschung, 64, 13-19. Zhao, Y., Xu, Q., Pan, T., Zuo, Y., Fu, Y. and Guo, Q.-X. (2013) De-polymerization of Lignin by Catalytic Oxidation with Aqueous Polyoxometalates. Applied Catalysis A: General, 467, 504-508. 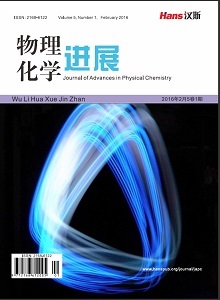 Fan, G., Wang, M., Liao, C., Fang, T., Li, J. and Zhou, R. (2013) Isolation of Cellulose from Rice Straw and Its Conversion into Cellulose Acetate Catalyzed by Phosphotungstic Acid. Carbohydrate Polymers, 94, 71-76. 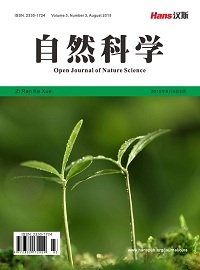 Guan, Q., Zeng, Y., Shen, J., et al. (2016) Selective Hydro-genation of Phenol by Phosphotungstic Acid Modified Pd/Ce-AlOx Catalyst in High-Temperature Water System. Chemical Engineering Journal, 299, 63-73. Victor, A., Pulidindi, I.N., Kim, T.H. and Gedanken, A. (2016) Design of a Selective Solid Acid Catalyst for the Optimization of Glucose Production from Oryza Sativa Straw. RSC Advances, 6, 31-38. Zeng, C., Lu, J., Zheng, H., Chen, X. and Huang, B. (2016) Effect of Solvent on the Solvolysis Liquefaction of Sawdust with Phosphotungstic Acid under Supercritical Condition. Journal of Fuel Chemistry and Technology, 44, 342-348. Demesa, A.G., Laari, A., Sillanpaa, M. and Koiranen, T. (2017) Valorization of Lignin by Partial Wet Oxidation using Sustainable Heteropoly Acid Catalysts. Molecules (Basel, Swit-zerland), 22, 1625. 刘天祥, 兰海瑞, 曾永明, 洪亮, 张宏喜. 纳米氧化铈在催化氧化木质素制备芳香化合物中的应用研究[J]. 分子催化, 2017, 31(4): 372-381.